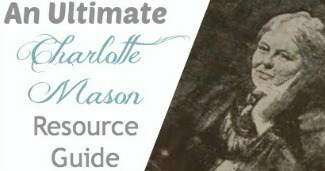 Charlotte Mason's method encourage you to read books from those who had a passion for the topic and I have often times called DVDs and other sources of audio and visual tools the new living book and have used them in our homeschooling time and time again with great results. 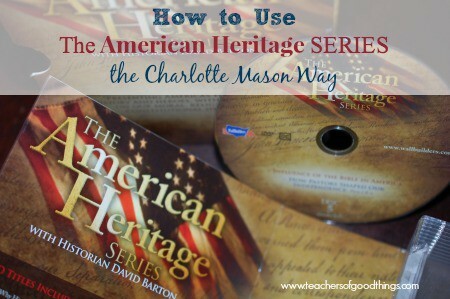 Our family absolutely loves The American Heritage Series with Historian David Barton. 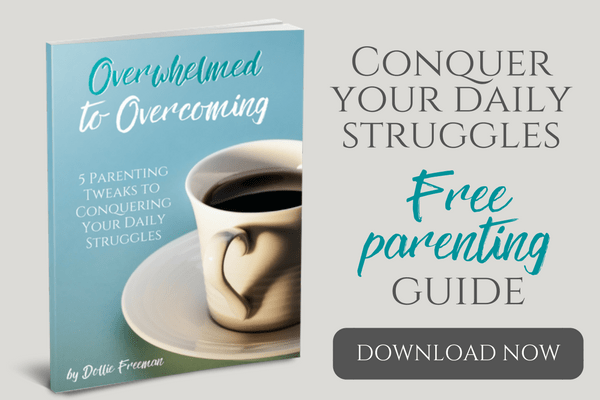 As part of the Review Series, I wanted to share with you why this DVD series is a perfect fit for the Charlotte Mason method. This series is about proving the Christian found of America through original documentation of our founding fathers. There is no need for interrupting what these men thought, meant or were attempting to do at the start of our nation because it is written in their own hand. Historian David Barton delivers an engaging and thought provoking presentation of how our Constitution was written and the power behind the decisions that went into making this important document. This is truly a MUST for any American history curriculum for a high school aged student, but something that even younger children can grasp and begin to understand the importance of what our nation was founded upon. Our family watched the DVDs together, in the evening so my husband could be involved in this learning with us. After each episode that we watched, we would have the children narrate what they learned, what surprised them and what inspired them. We had great conversations, as we narrated to each other our own conclusion of what we had watched together. For high school children, you can assign them a written narration on an aspect of what was covered in the episodes. Using their own narrations during the conversations, decide what narration you want them to give you a written narration. Have your high school graduate pick an original document to learn more about and to provide you with a oral presentation during the period of time that you use The American Heritage Series. Be sure to have them add documentation of their resource in their presentation. Have your high school graduate choose one of the signers of the Constitution to read a biography of their life and require a written narration at the conclusion of the book. Our family absolutely loves this series! 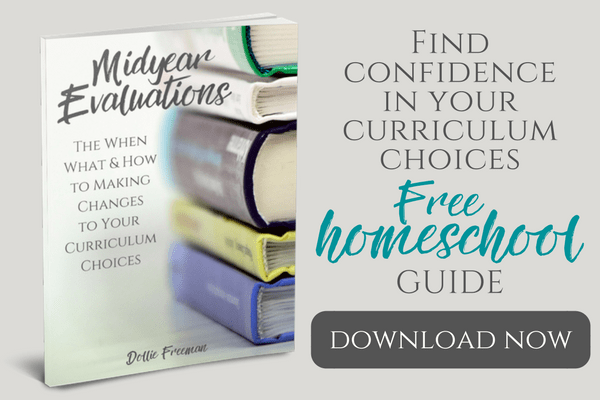 I hope you are inspired to add this good thing to your homeschool journey and take advantage of the amazing savings available on Amazon!